Our rain chain Installation Kit is the perfect accessory for all of our rain chains. 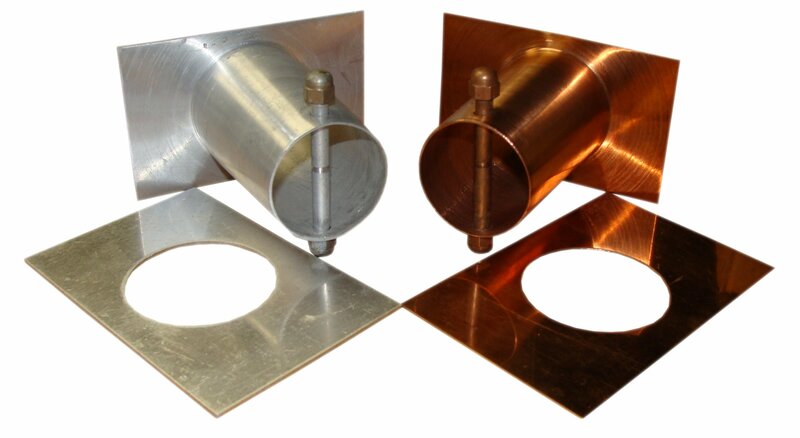 We carry installation kits in Aluminum and Copper. 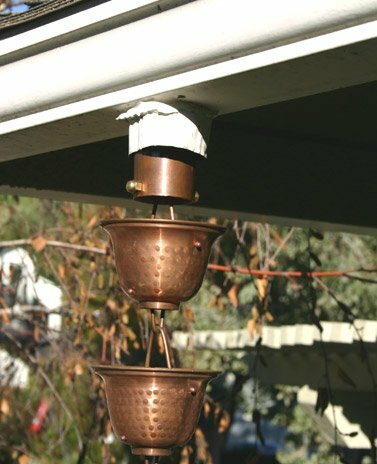 We offer two varieties of the copper rain chain installation kit, one having a 3" outlet length, and the other a 6" outlet length.